This is my second (and hopefully last) attempt at writing my monthly favourites. I completed the entire post and sadly it didn't save at all and has now gone. So now this is my January favourites 2.0.... I really enjoyed doing my monthly favourites last year (and I think you guys enjoyed reading them) so they are coming back in 2018! Last year I used each of my monthly favourites to help me decide my overall favourites for the year. Sadly for me, picking my end of year favourites was extremely hard because I had way too many favourites throughout the year. This year I have decided that I need to be tougher with my choices each month. It's definitely going to be a challenge for me, but luckily this month has been a quiet month with new releases so I am off to a good start. Let's have a look at the things I have been loving this month. If you see this collage on Instagram then it may look as though I have pretty much chosen all of the manis that I posted. This is definitely not the case. I don't post everything on Instagram these (IG and I aren't really friends) so it's really only my favourite manis that make their way over there. 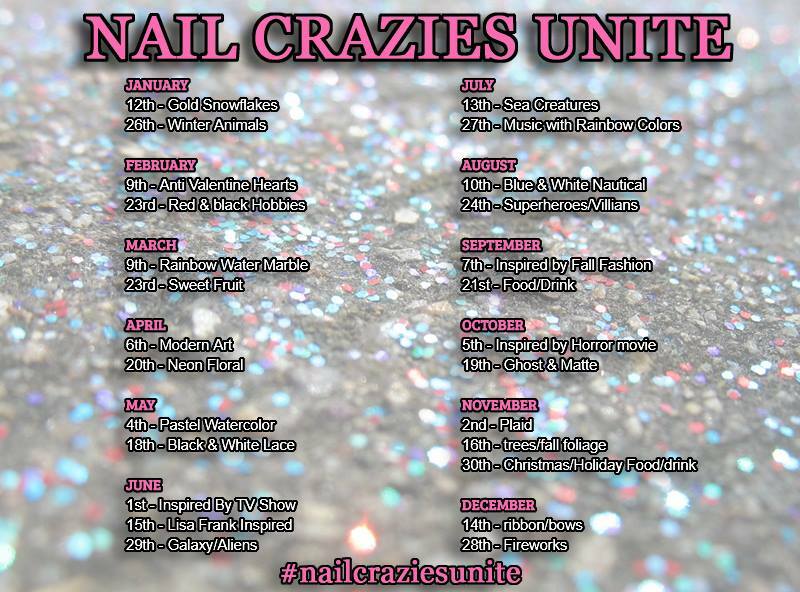 If you want to see all of my manis that I do then following my blog is the best way. 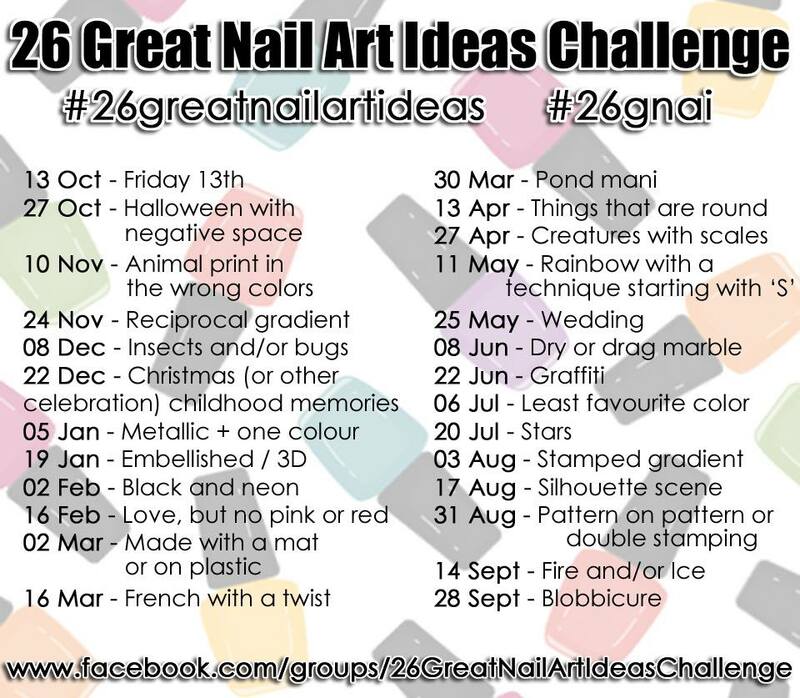 I know there are still quite a lot of nail art favourites this month but I really tried to narrow them down. There were some others that I could have added but I was tough (ish). One thing that I have found interesting is the amount of grey manis that I have fallen in love with this month. Certainly different from my usual neon or pastel manis (although they do make an appearance still). As I mentioned earlier, this month has been pretty quiet in terms of new releases. I did play with a mixture of some new plates as well as plates that I purchased last year but never got around to swatching. There is a fantastic mix of images among these plates. I am definitely a huge fan and will be getting a lot of use out of them. You can see the manis I did with these plates along with pictures of each of the individual plates here. 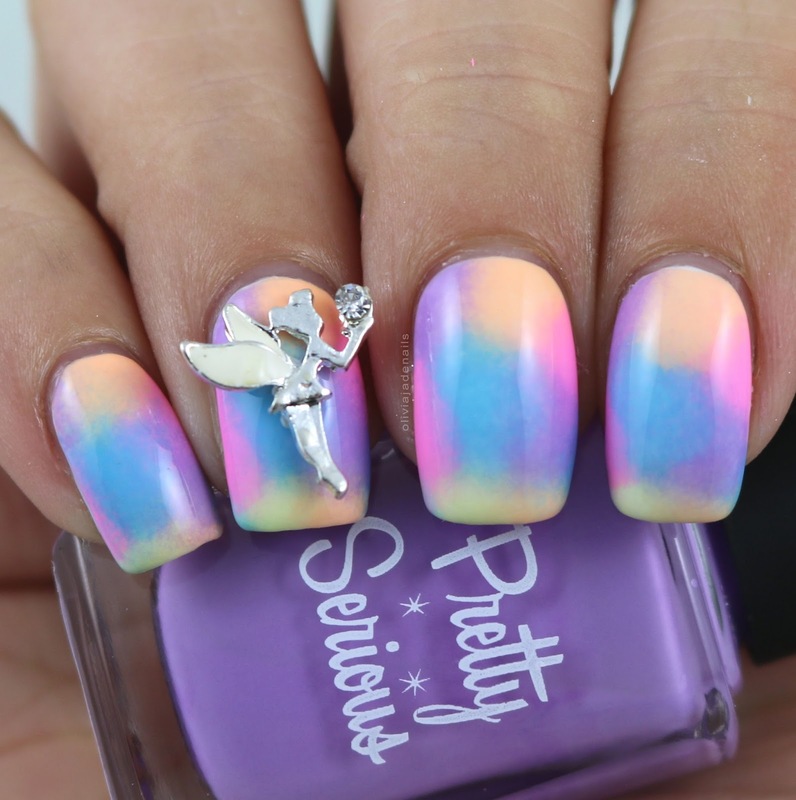 I love girly manis, they are among some of my favourite manis to do and wear. With that being said, it should come as no surprise that I love this plate. It is full of girly images and lots of potential for girly manis. You can see the manis I have done with this plate in this post here. Sadly, I really haven't had too many indie polishes on my blog this month (like I said it has been a quiet month). In fact, I have only shared polishes from one brand - Emily de Molly. Not that that is a bad thing because I love Emily de Molly polishes! But it is nice to share the love around. Ahh the polish that I some how managed to get my hands on at 3am whilst in hospital and heavily medicated (in case you didn't know I had an operation earlier this month). 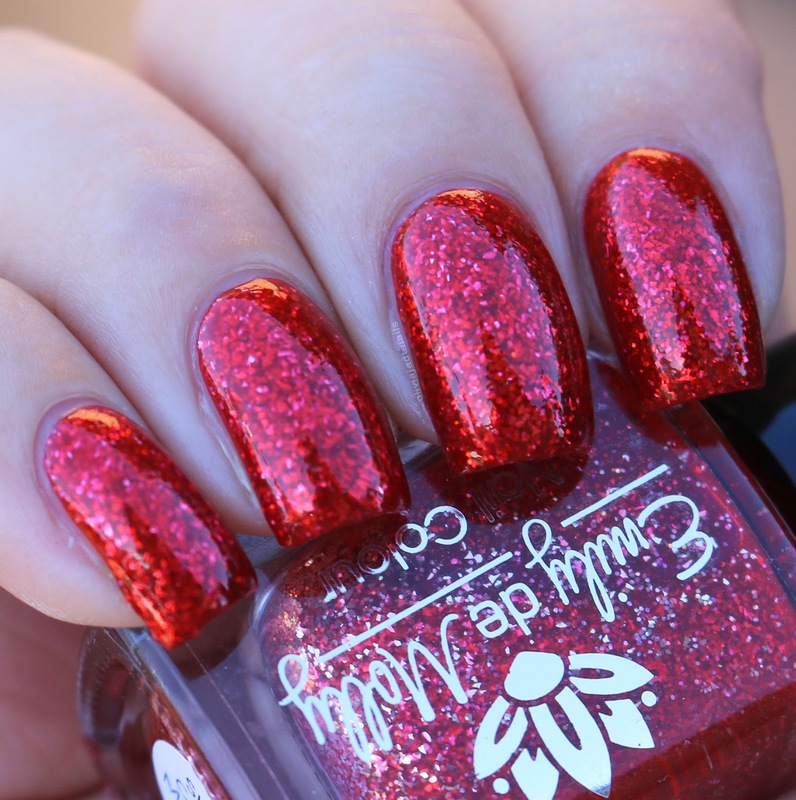 This polish was from the Polish Pick Up and was limited edition - only 100 bottles were available! I fell in love with the swatches and I fell in love even more when I saw it in person. It's so beautiful. You can see more of my swatches here. There were six polishes that I purchased late last year that I was meant to swatch but never got the chance to until recently. They are all great shades and I am happy to have them in my collection. I was tough and managed to narrow my favourites down to three polishes - LE64 (top picture), LE61 (bottom left) and LE63 (bottom right). 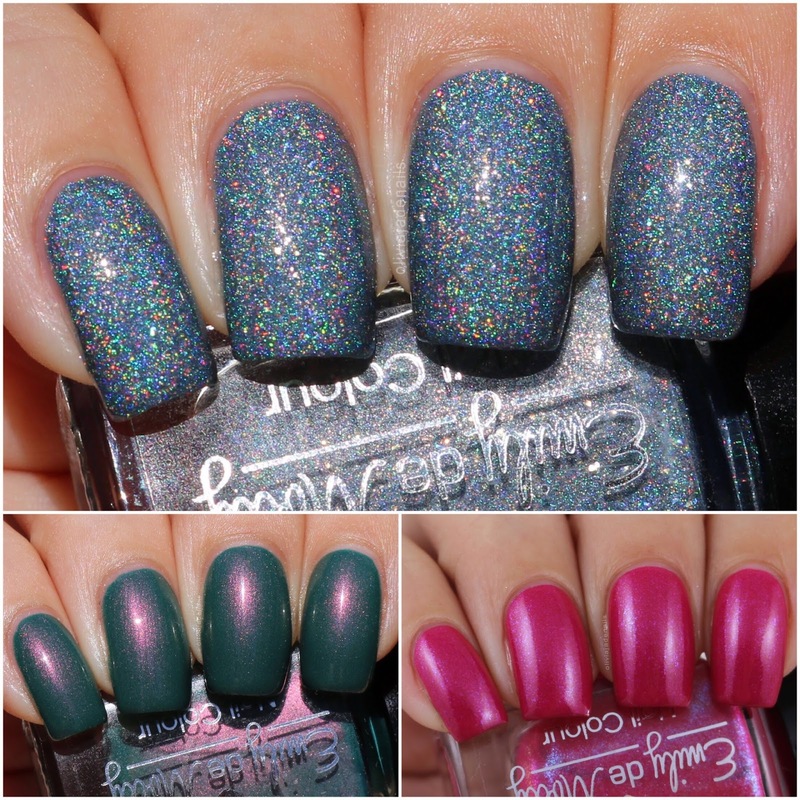 You can see more swatches of these polishes and the other limited edition polishes in this post here. This is probably my shortest favourites post ever - or at least I think it is. January is definitely a quiet month when it comes to new releases but I imagine there will be a lot of new things coming our way in the coming months. February will definitely be a month full of favourites - I have quite a few things already to play with and there is some amazing stuff! I also have my eye on a few things that I want to buy. I am excited! Let me know what you have been loving this month or what you have your eye on to try. I had some surprise nail mail arrive at my doorstep last week. Inside was the latest Colour Of The Moment polishes. I was definitely happy to see that Fuchsia is the colour! We all know that I love pink polishes. I received two polishes (along with some nail polish remover which I haven't tried yet). One of these shades I have swatched previously so I will attach my original swatch and review in this post. Back To The Fuchsia is a fuchsia pink with a subtle blue shimmer. 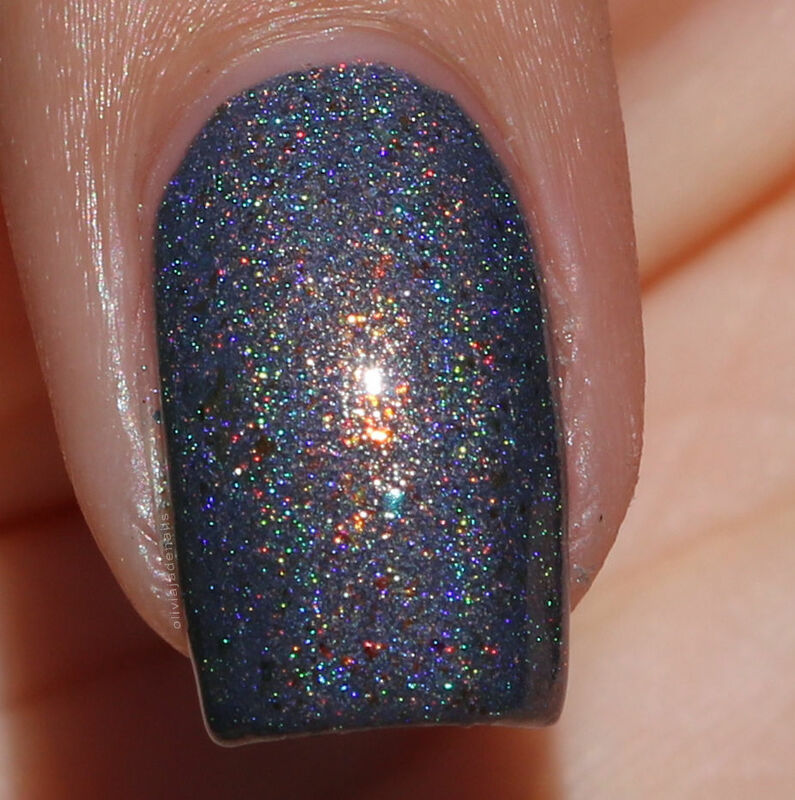 The shimmer in this one is quite pretty but it is definitely more visible in the bottle than it is on the nail. The formula is easy to work with, however I did find it a little on the sheer side. My swatch shows three coats. Pampered In Pink is the polish that I previously swatched and reviewed. 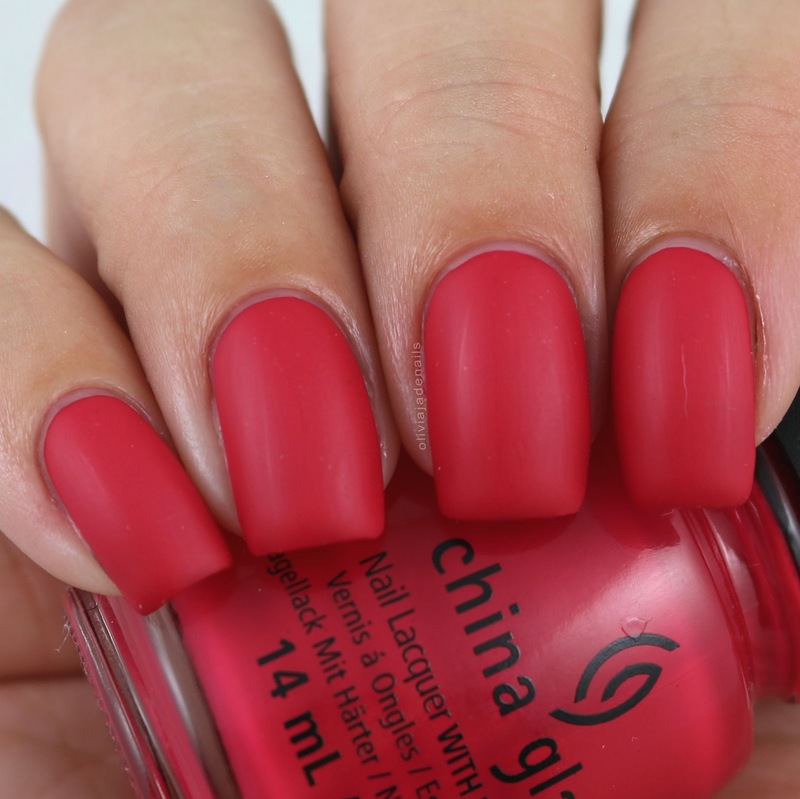 This polish is described as a punchy pink. It is easy to use and is a nice colour. My swatch shows two coats but I am questioning if I should do a third coat or not. I like the colour of both of these polishes, however I do which that they were more opaque than what they are. They really should both be two coaters with no question of needing a third coat. My pick of these two would be Back To The Fuchsia. Sally Hansen polishes are available from Priceline, Priceline Pharmacies, Terry White Chemists, Chemist Warehouse and independent pharmacies nationally. It's funny to think that last year I had no idea about the Polish Pick Up (yes sometimes I have my head under a rock when it comes to polishes - it's more of a bank account issue than a not wanting to know thing), but now I have my second polish that is exclusive to the Polish Pick Up. 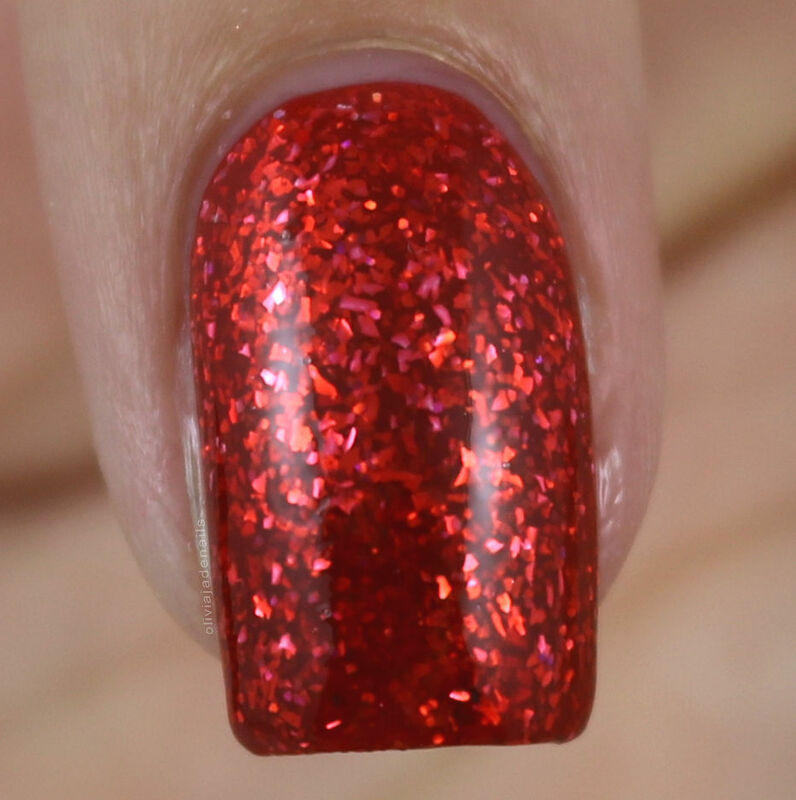 This month's theme is Sugar Rush and Hayley has made a polish inspired by toffee apples. Who doesn't love a good toffee apple? 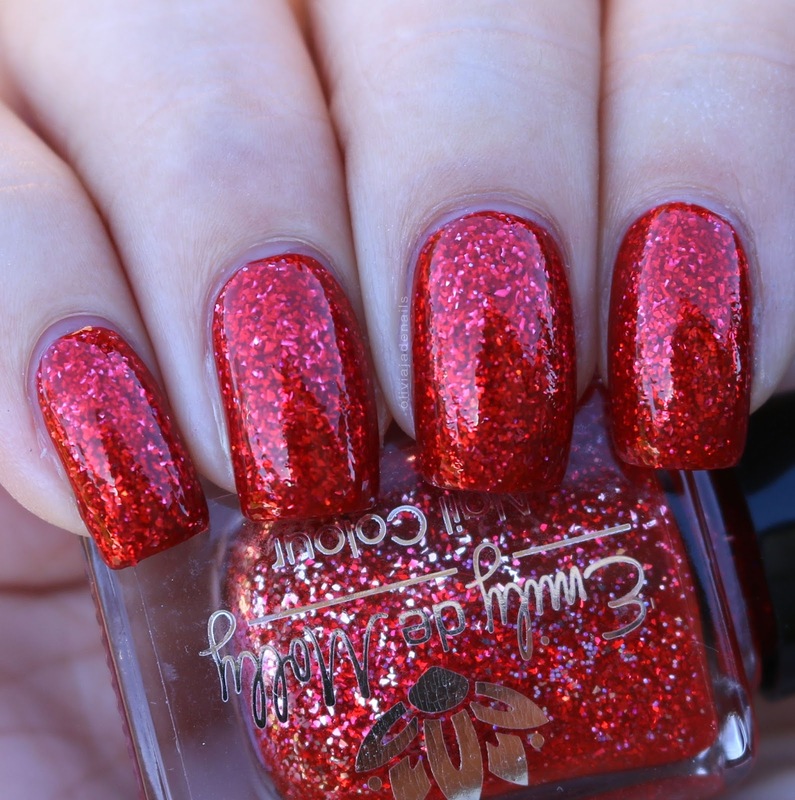 Sugar Coated Memories is a bright red jelly with metallic silver flakes and silver holographic micro glitters. This baby is so sparkly in person - I just don't think it translates on camera. You definitely have to see this in person to understand what I mean. The formula is great and applies evenly. My swatch shows three coats, however you can stop at two coats. I just wanted a little more sparkle and depth. One of the things that I dislike about doing nail art challenges is a lot of the time there is some form of season related mani which rarely lines up with the seasons in Australia. It's currently Summer here so for me to think about a winter animal was kinda strange. My original thought was to do penguin nails but I have done a few penguin nails over the years and wanted to do something a little different. Today I have some polar bear nails to share with you. These nails are inspired by a mani I saw by Lily Rose. For my base I used Emily de Molly LE72. My freehand was done using Powder Perfect's White Stamping Polish and Pretty Serious Cosmetics Absence. I really like how these turned out. My daughter said that they are the cutest polar bears ever. Gotta love her! There is going to be quite a few Emily de Molly posts coming up from me in the coming....well probably year. I have no intentions of slowing down my Emily de Molly purchases. They are one of my favourite brands after all. Anyway, late last year I purchased a few of the limited edition polishes but never got a chance to swatch them. Fast forward to today and I have my swatches and review for six of the limited edition polishes from last year. I am really not sure if any of these are available still or not so sorry if they aren't. LE 61 is a dark green with copper to gold shifting shimmer. This is actually the very first polish I wore since having my operation. It's such a great colour. For whatever reason though it didn't want to photograph nicely. I used two coats for my swatch. LE 62 is a dark purple with blue shimmers and bronze flakes. The formula of this one is awesome. You could easily get away with one coat. The colour is pretty and so is the glitter and shimmer. My swatch shows two coats. LE 63 is a bright pink with blue shimmers. No surprise that I love this one. The formula is awesome and the colour is stunning. I used two coats for my swatch. 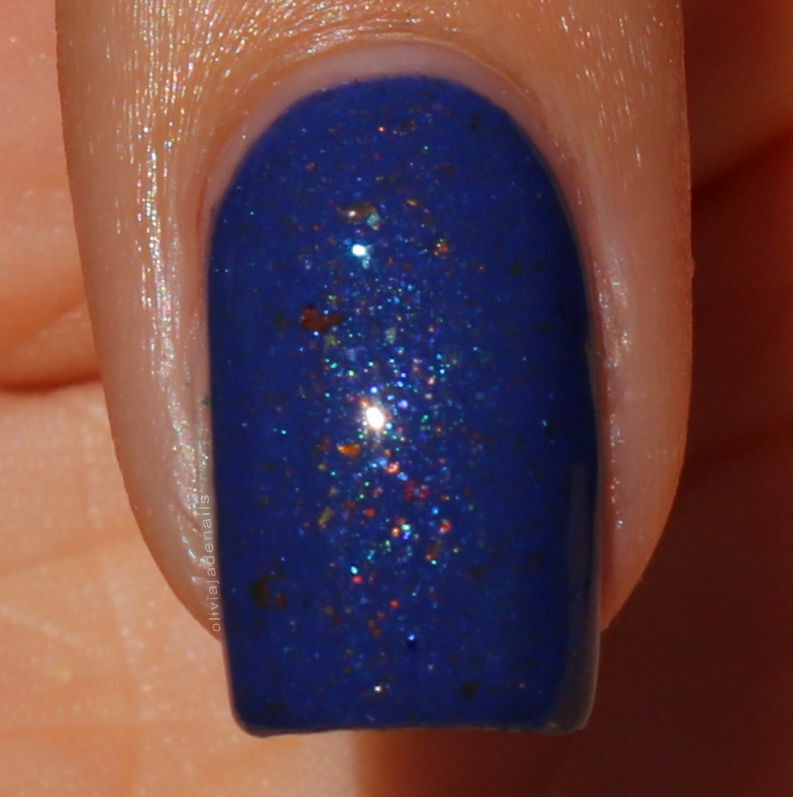 LE 64 is a light steel blue scattered holo with gold holo micro glitters and silver holo shards. I really like this shade. It's definitely unique in my collection. The formula is awesome - you could get away with one coat. I used two coats for my swatch. LE 70 is a blue jelly with blue to green multichrome flakes and silver micro holo glitters. This has some really pretty glitter in it. As usual, the formula is excellent and is opaque in two coats. LE 72 is a medium, blue based grey holo with gold multichrome flakes. I don't know what it is with me and grey polishes but I am a big fan of this one. I blame Margaret (@loveslacquer) - she was the one that converted me to grey polish. Anyway, the formula is awesome and you could get away with one coat. I used two coats for my swatch. I'm sure it comes as no surprise that I am a big fan of all of these polishes. The colours are great and so are the formulas. You can never go wrong with Emily de Molly polishes! In the spirit of trying to cut back on my favourites (which is hard to do) I would say that my favourites would be LE61, LE63 and LE64. One of my goals from last year was to swatch everything that I purchased. While I failed on doing that, I am making up for it now. 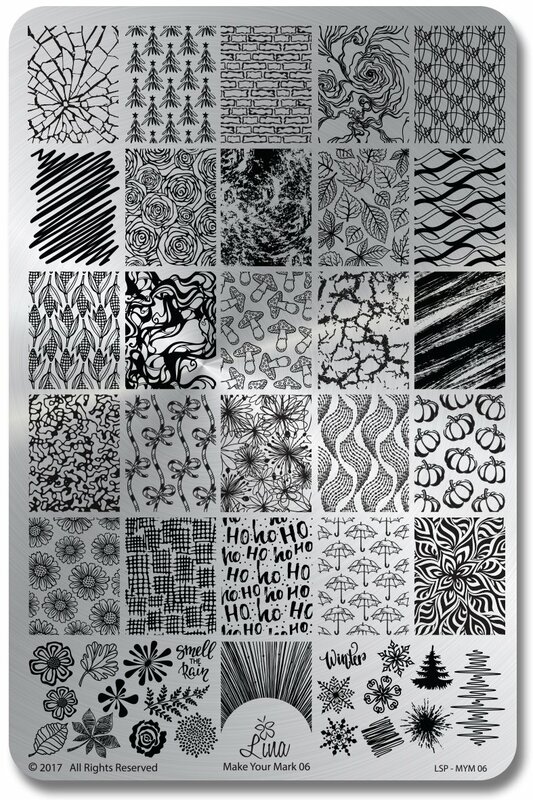 January there really isn't too many polish or plate releases which gives me a chance to play catch up a little. 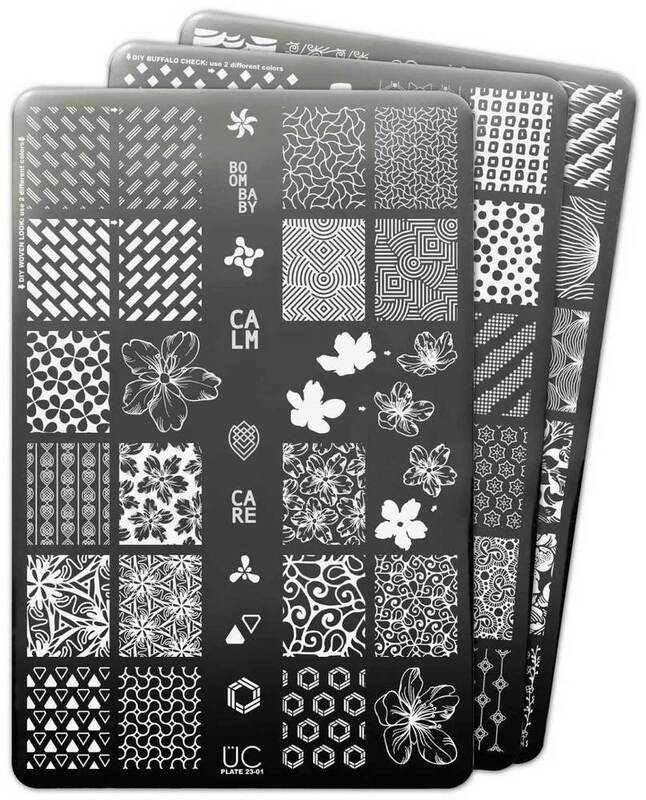 Starting with Lina Nail Art Supplies Make Your Mark 06 Stamping Plate. The first mani I did using this plate was actually for a challenge that I shared with you a couple of weeks ago. It's just a nice and simple mani. For my base I used Color Club East Austin and Peita's Polish Fizzilicious. This next mani is definitely a favourite of mine. I love the design by itself as well as layered. I can see me getting a bit of use out of this image. Polishes used are Pretty Serious Cosmetics Presence and Hit The Bottle's A Flock Of Seagulls and Looking For Mr Grey. 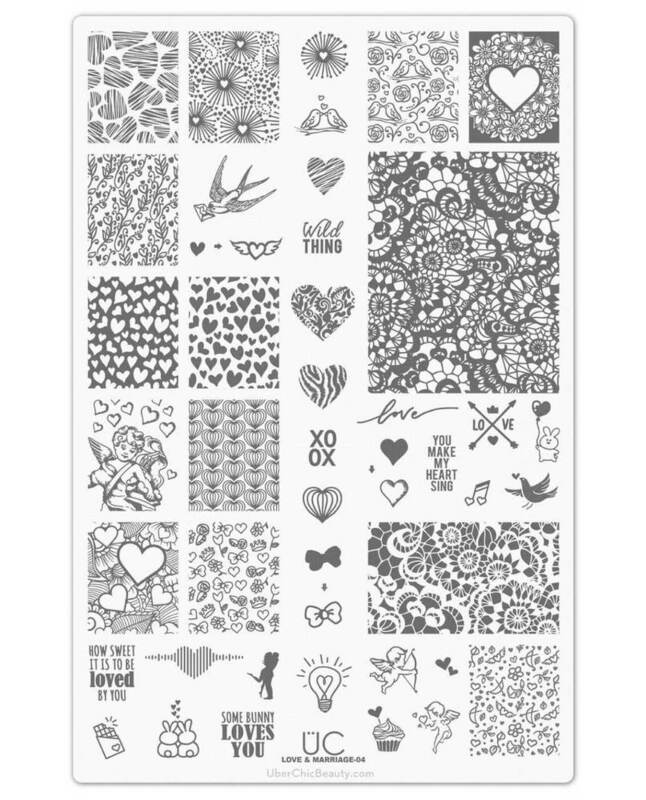 I am usually a massive fan of the Make Your Mark stamping plates. They have always been among my favourite plates that Lina has released. Sadly, this one isn't a favourite of mine. It seems like they have just popped on some images like that leaves and the ho ho ho images that didn't make their Christmas or Fall plates. There are some cool images on this plate, but I think overall it just misses the mark. What do you think of this plate? I am officially back painting my nails again! I can't even begin to tell you how excited I am to have colour back on my nails. I nearly spent two weeks with naked nails and it was horrible. Not that there is anything wrong with having naked nails - they just aren't for me. Anyway, earlier this week I received my first nail mail of 2018 - a big box of Emily de Molly's! Woohoo! The box mainly consists on polishes from the recent sample sale (which I will be swatching my way through soon and sharing) but there was one really special polish in there - my first ever Polish Pick Up polish. In case you are like me and don't really know anything about the Polish Pick Up, then let me fill you in. Basically it's a group that runs a new theme each month and then indie maker's work their magic and create some limited edition masterpieces. Polishes (and the other goodies) are only sold once in the month (I want to say that it is around the first weekend of the month). This month's theme is Crystals and Gemstones. Emily de Molly released one hundred bottles of Perfect Formation - and boy did these babies sell fast! Luck was definitely on my side when I grabbed my bottle. Not only was it released at 3am here but it was also on the night after my operation so I was heavily medicated at the time. 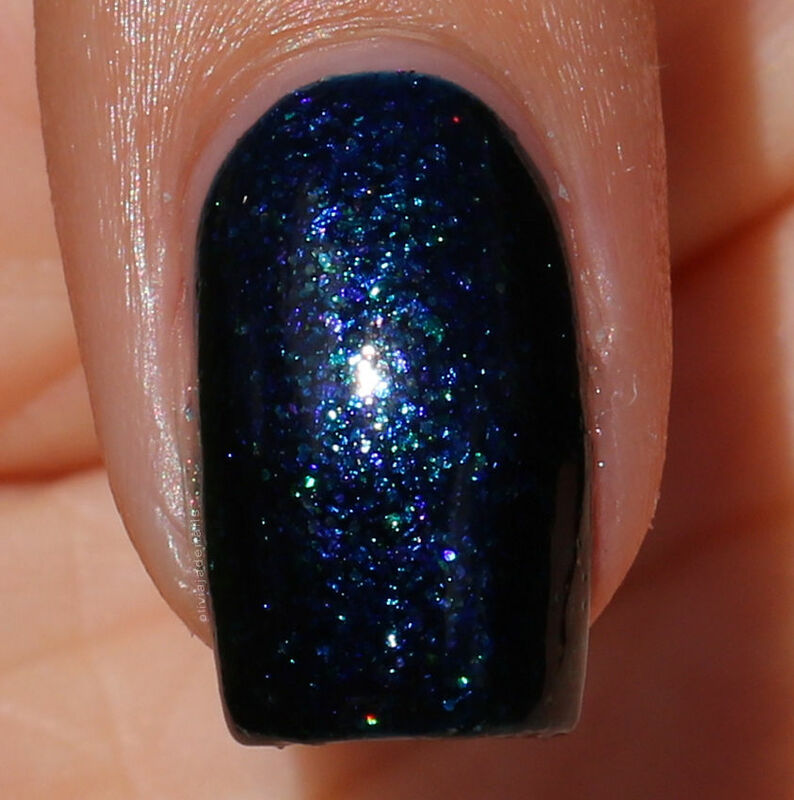 Perfect Formation is a dark blue/purple with heavy copper shimmer and ultra holographic silver microglitters. I fell head over heels from the swatches I saw and it hasn't disappointed me at all. It's such a stunning colour and the formula is perfect. My swatch shows two coats. Unfortunately this polish isn't available anymore, however I can tell you that Emily de Molly is participating in February's Polish Pick Up. To stay up to date with releases etc head over to the Polish Pick Up Facebook Group. 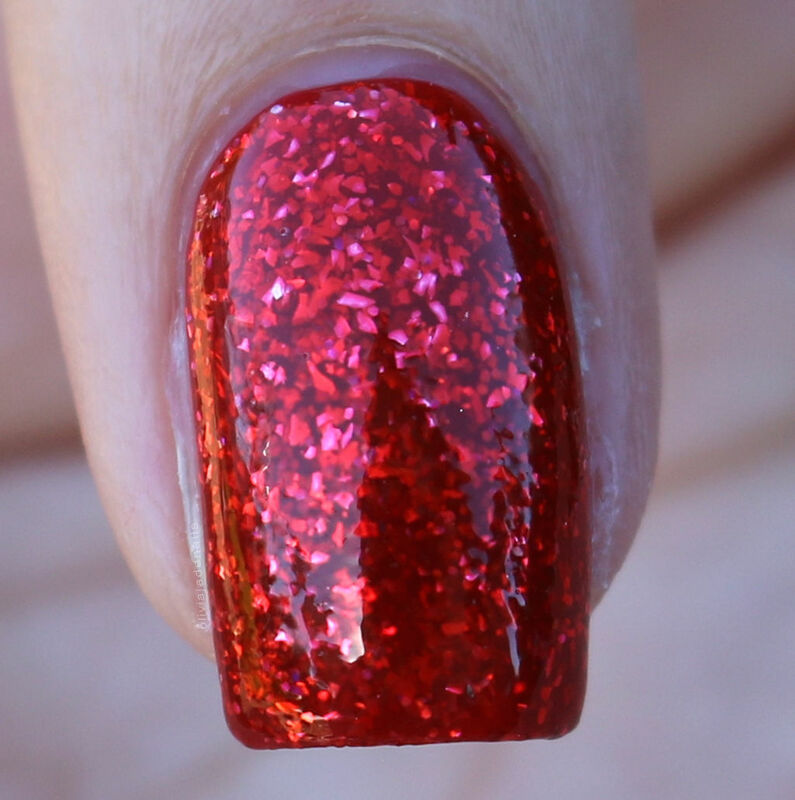 Did you manage to get your hands on this polish? I'm back! Well kind of. This is officially the first blog post I am writing since having my operation. Yay! This is a mani that I did prior to going in for my operation and sadly I haven't felt up to doing my nails yet. That's right, I have zero nail polish on and haven't had any on for nearly two weeks. With that being said, there may be a little time with no blog posts because I haven't got anything else prepared but hopefully I'll be back painting my nails soon (I really dislike having naked nails). For today's mani I thought I would break out this cute little 3D charm that I got years ago. I think I have only ever used it once (which is more than I can say I have used for some of the other things in my collection - I really should shop my own collection more often). For my base I used the entire Pretty Serious Cosmetics Pastel Pets Collection. I have a bit of a different post for you today. Randomly I do manis that I don't share on any platforms - I even do some that I don't even take photos of. There is no reason for either of these things but I thought why not share them now? Now most of these manis are once that I actually wore in 2017 and to be honest some of them I don't recall what polishes I used. Sorry. I will my best to provide details of what I used. For this mani I used the entire OPI Retro Summer Collection. I love this collection. 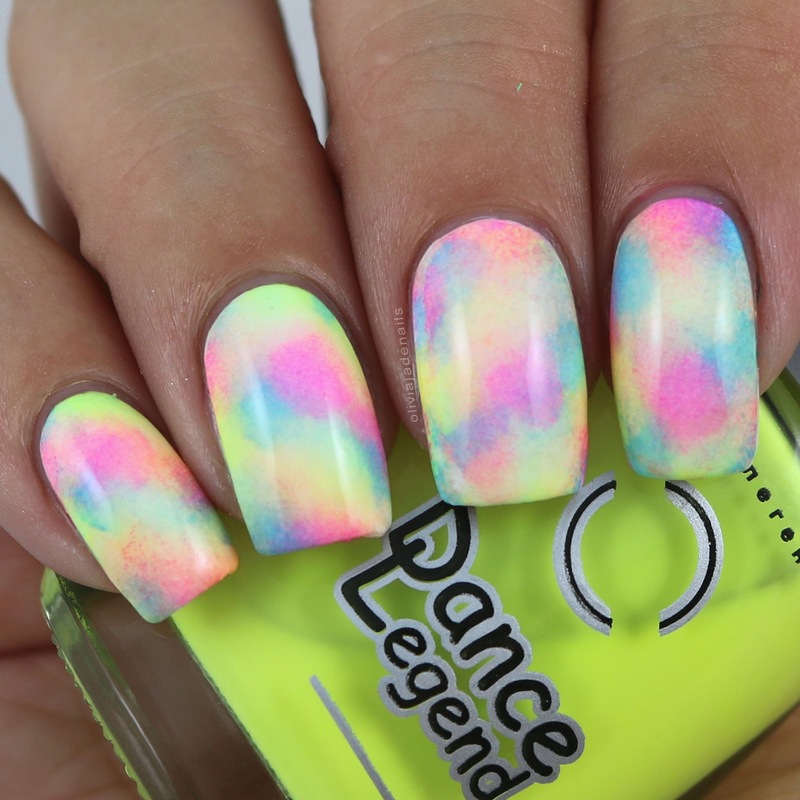 This mani is done using a bunch of Dance Legend neon polishes. Last year I went through a bit of a matte phase. I remember wearing this mani for a couple of days. Loved it then and still love it now. Polish is Sally Hansen's Pacific Blue (the original formula). I told you I had a bit of a matte phase last year. I can't remember exactly what red polish I used but I really liked wearing it matte. You can never go wrong with glitter accent nails. They just give a little sparkle to a simple mani. Polishes used are both from OPI. I can't remember what the creme is but the glitter is Mad As A Hatter. Polishes used for this mani are Emily de Molly Eyes Only and Animated Hearts. That's all of the random manis that I have sitting on my computer at the moment. Let me know what you think about seeing posts like today's? I can make note of what polishes etc I have used next time.